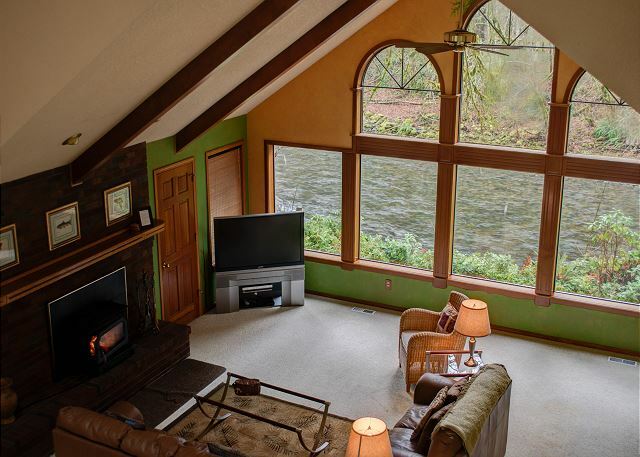 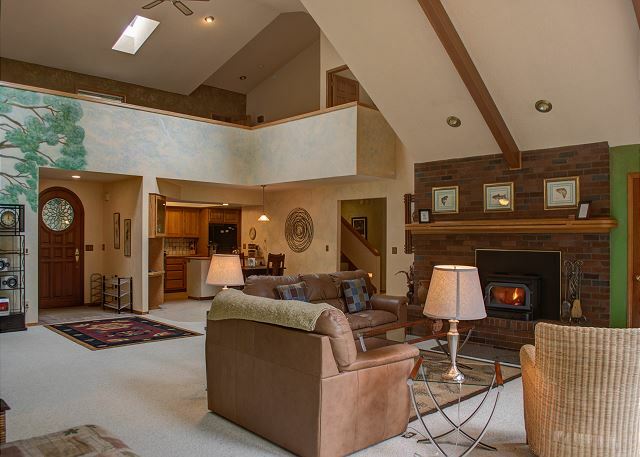 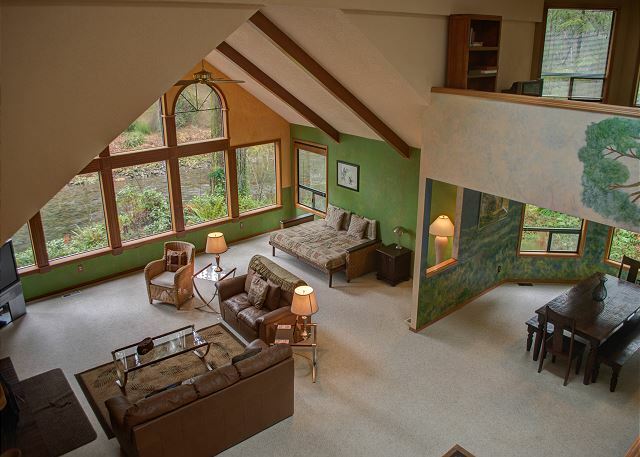 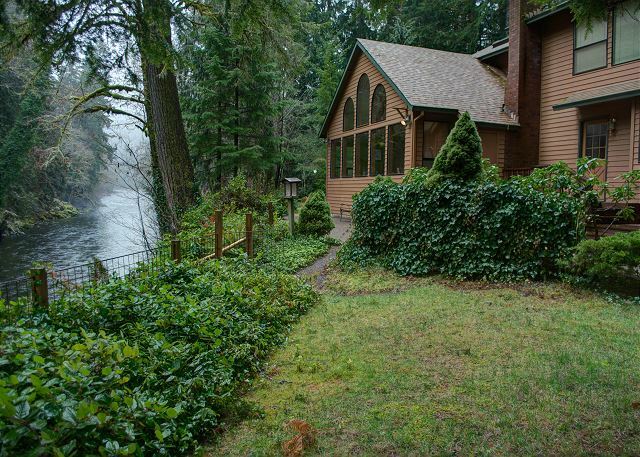 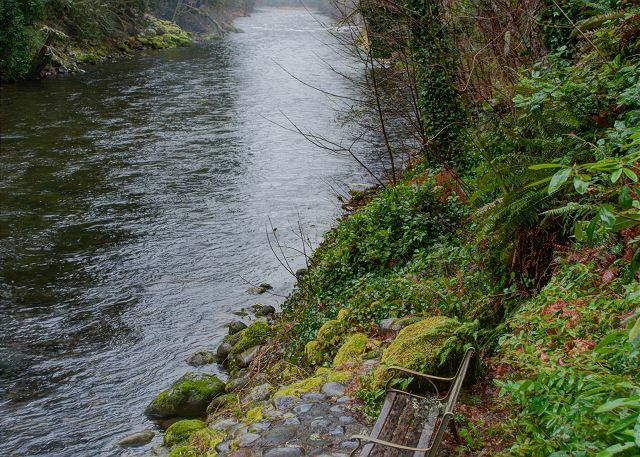 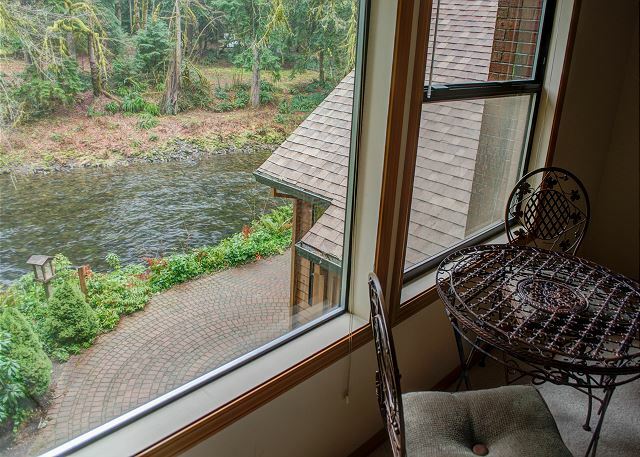 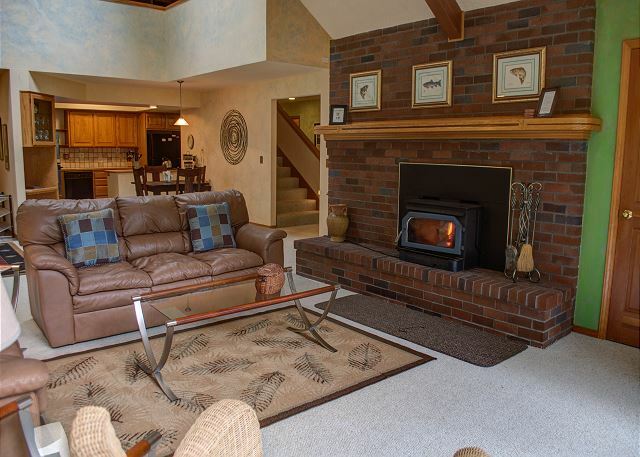 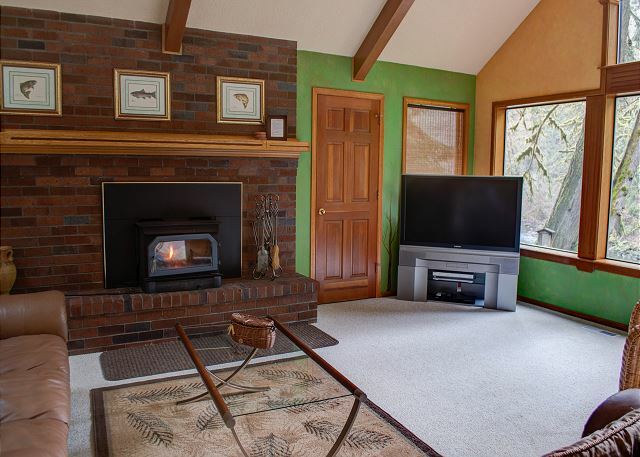 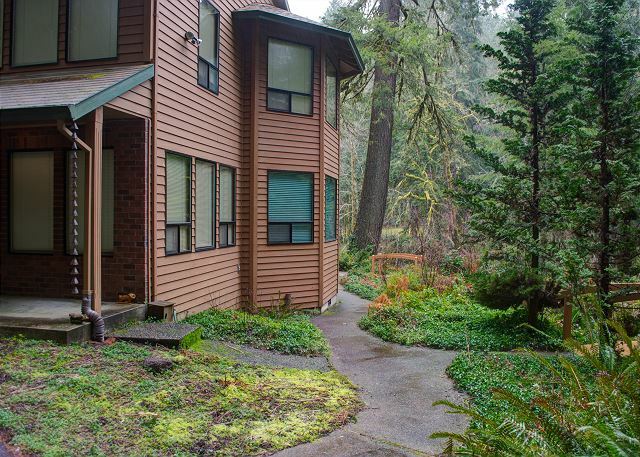 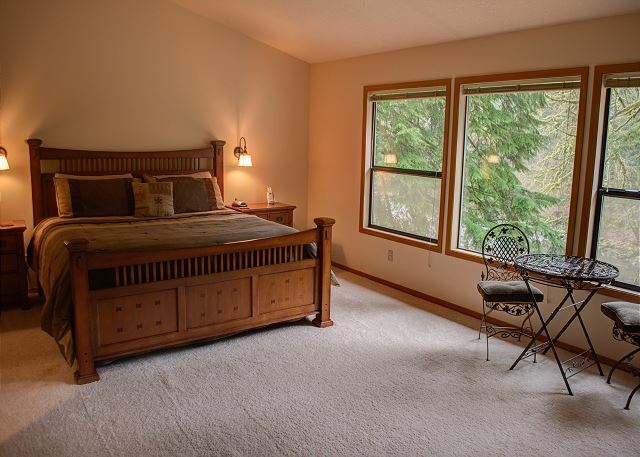 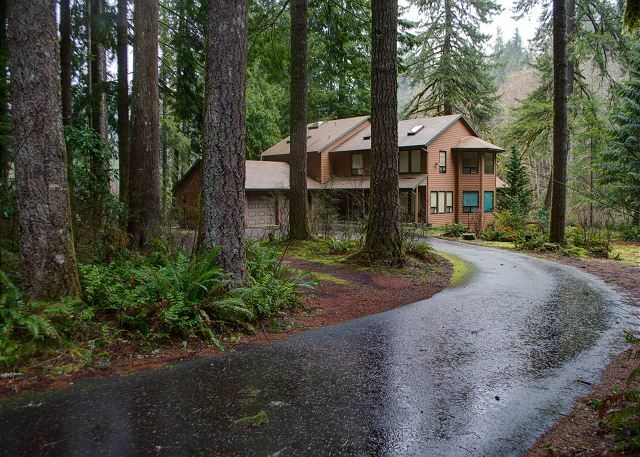 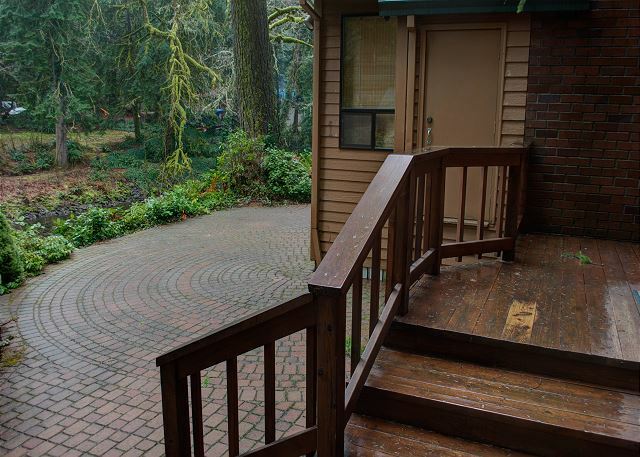 Clearwater Lodge in Brightwood is an expansive, two story home with wide open views of the sparkling Salmon River from most rooms, the deck, patio and gardens. 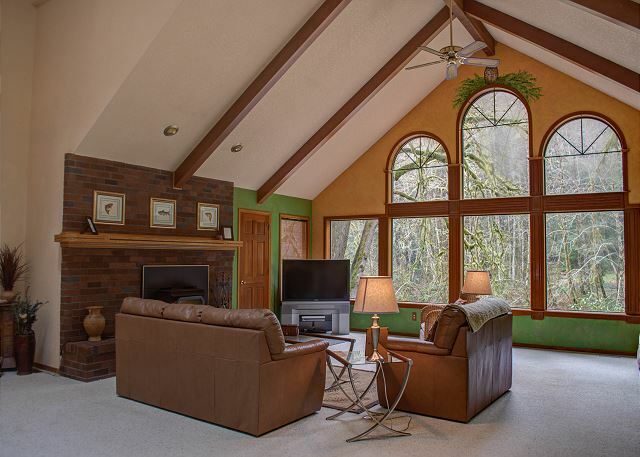 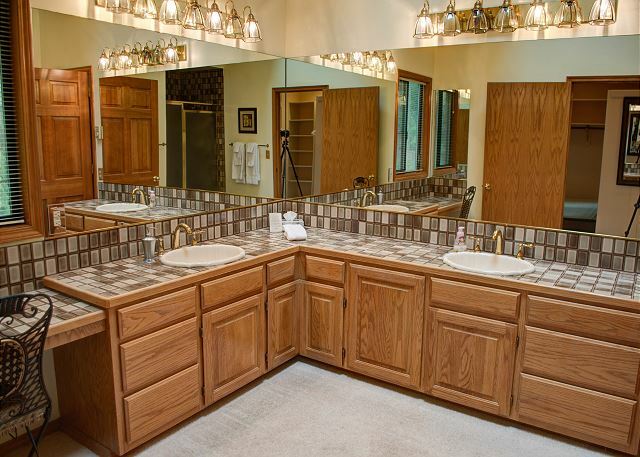 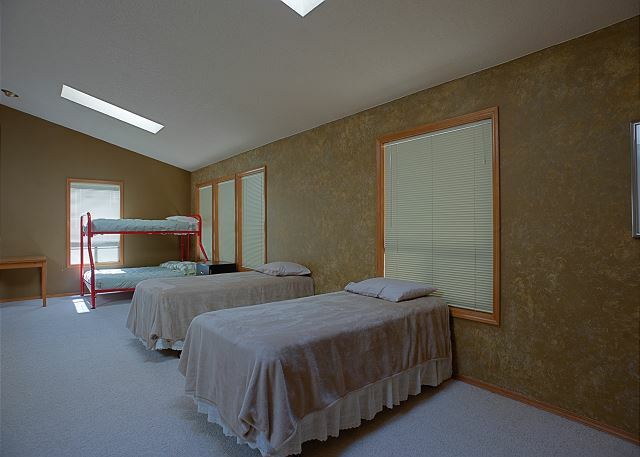 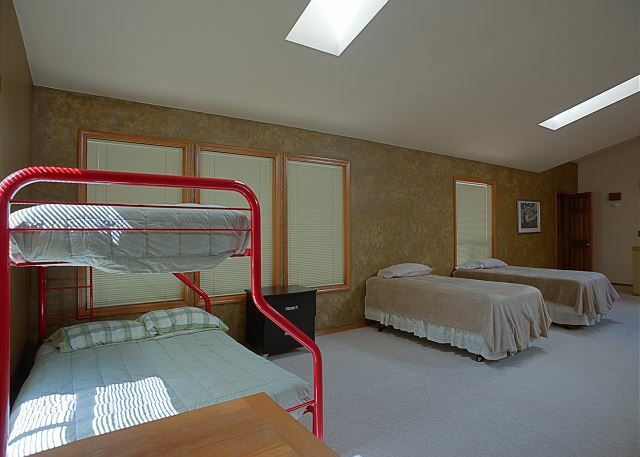 This home will comfortably sleep ten with plenty of room to spare and is a perfect spot for a family gathering or a long summer vacation. 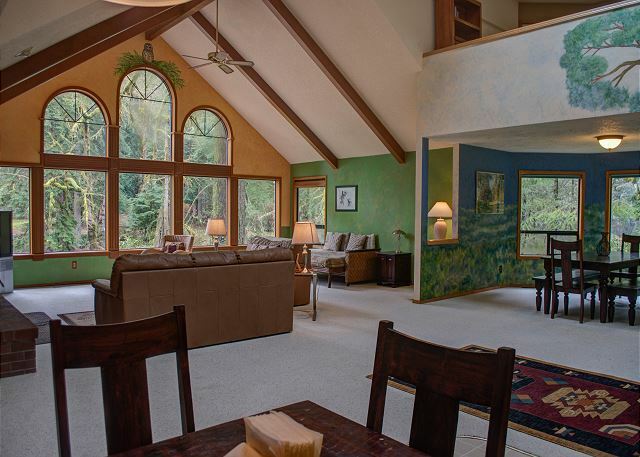 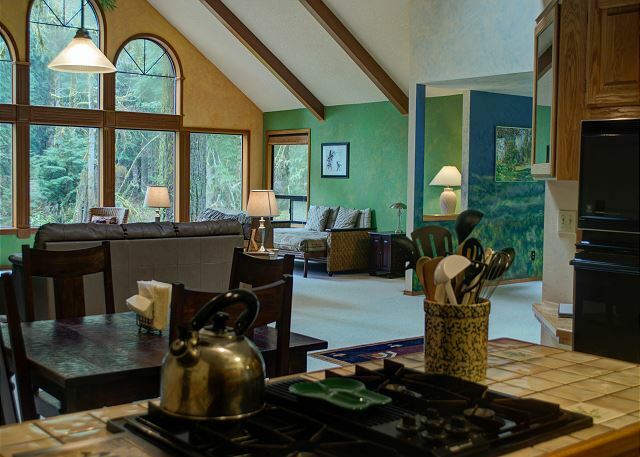 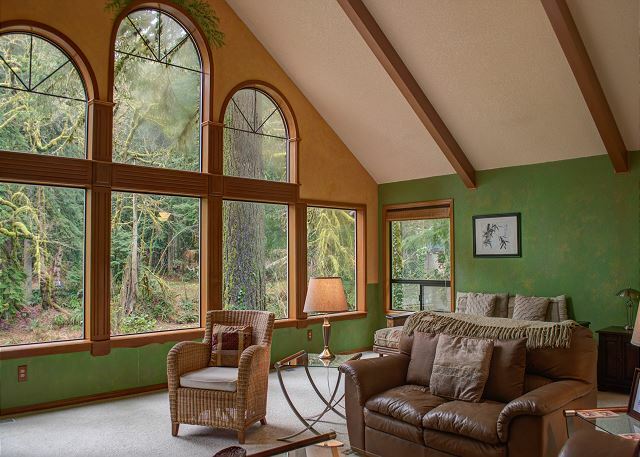 A wall of windows overlooks the forest canopy and the river. 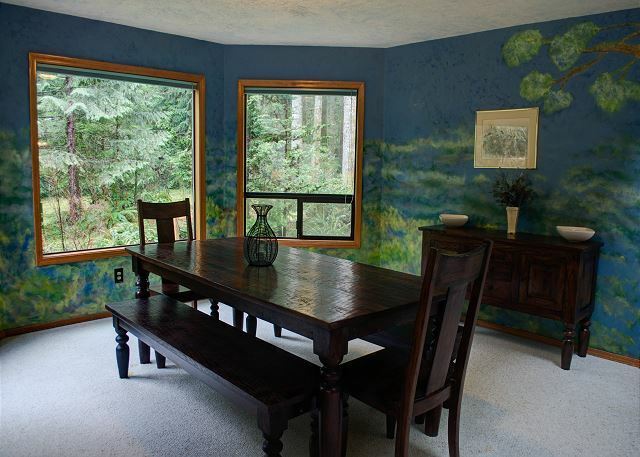 This gracious home is decorated with whimsical and unique hand painted murals, and interesting garden sculpture. 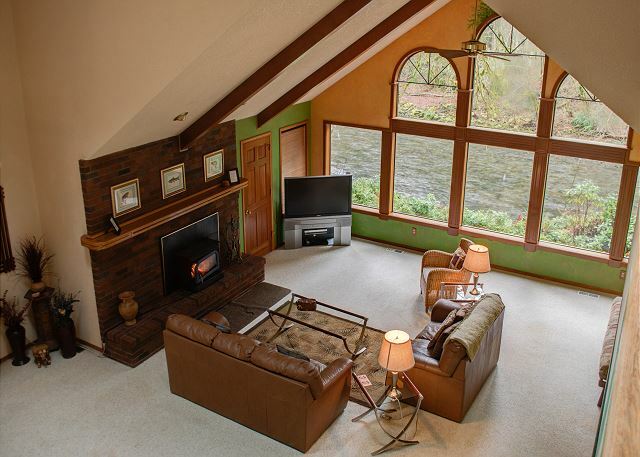 The living area features a river view, comfortable seating and a brick fireplace with a woodburning insert for warmth and ambiance. 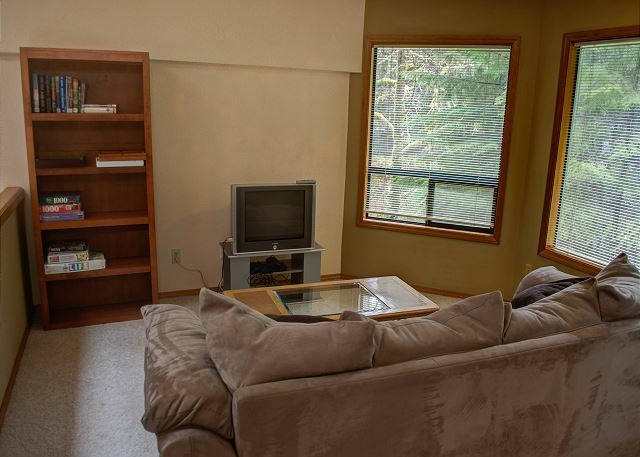 WIFI There is a 52 inch TV set up with cable and a DVD player. 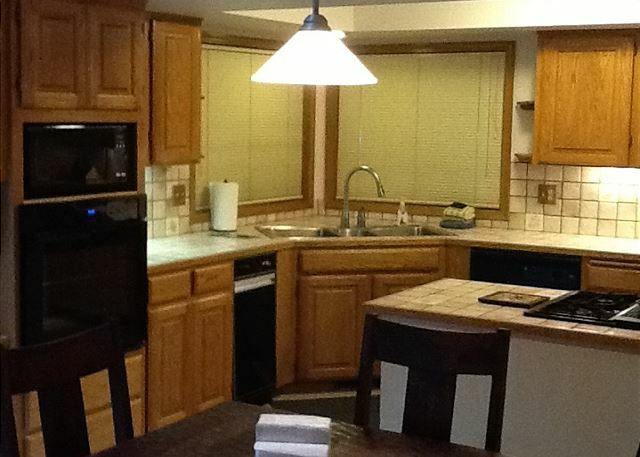 The stereo plays mp3s, you can plug in your iPod and enjoy your favorite music! 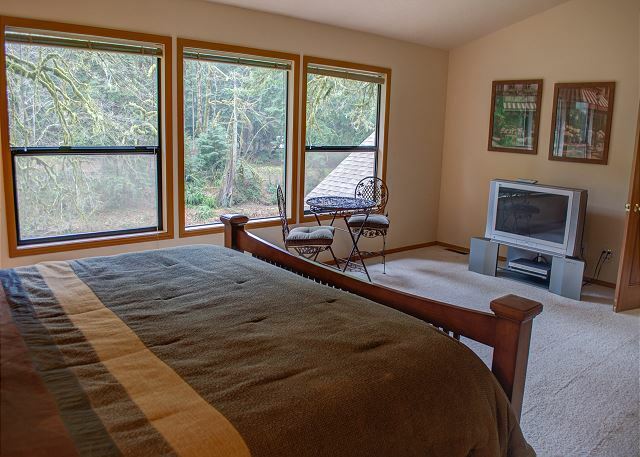 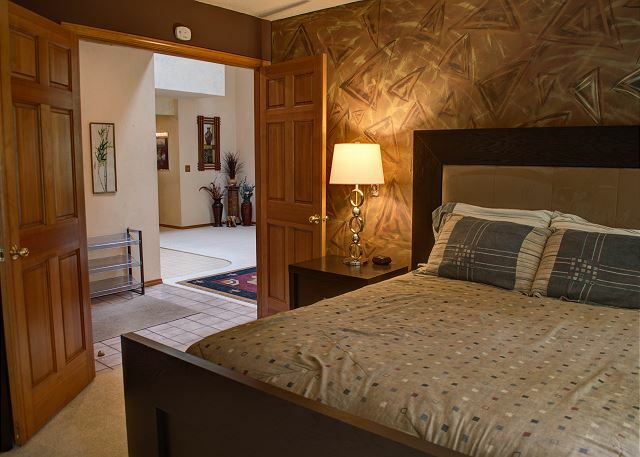 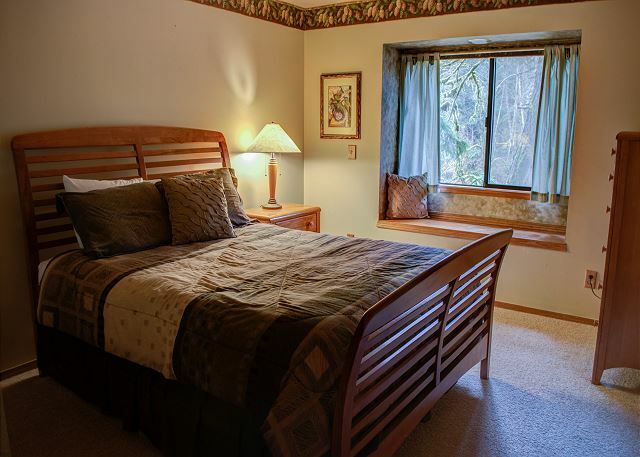 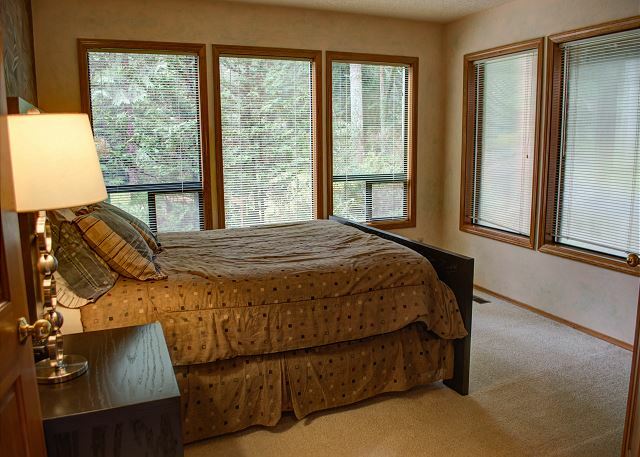 The over sized master suite has it's own 42 inch TV and an ultra comfortable king sized bed, as well as a very large walk in closet. 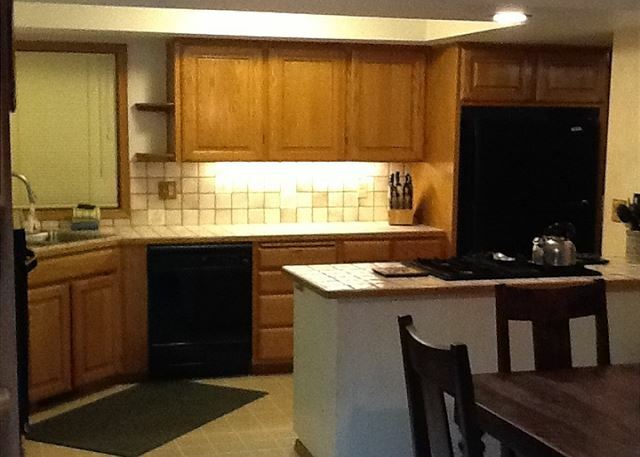 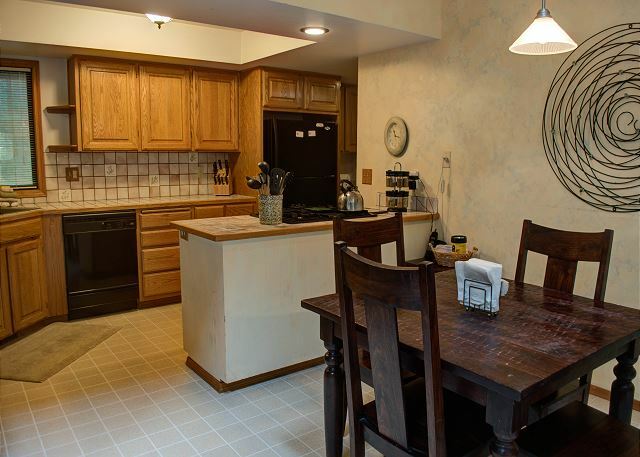 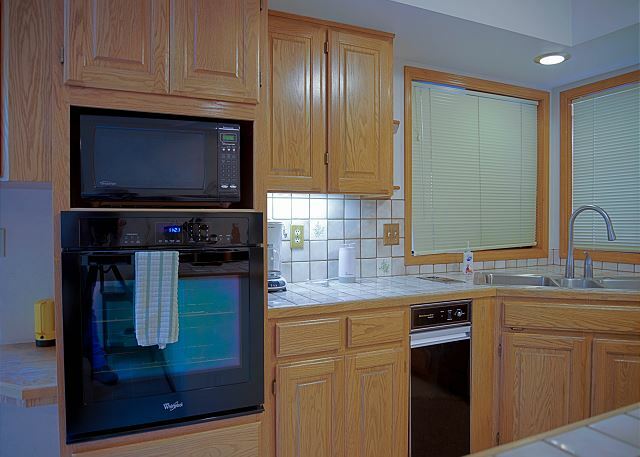 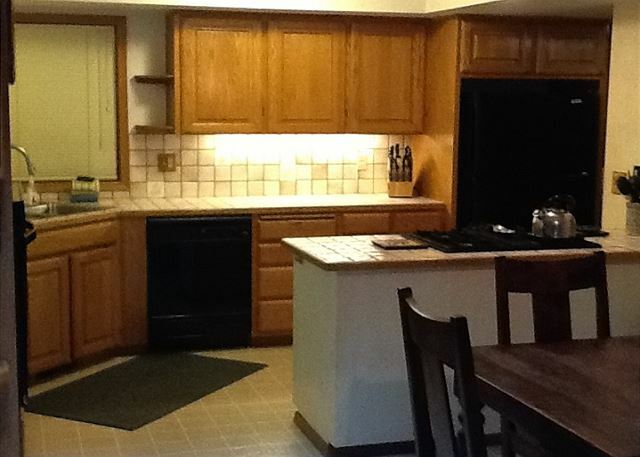 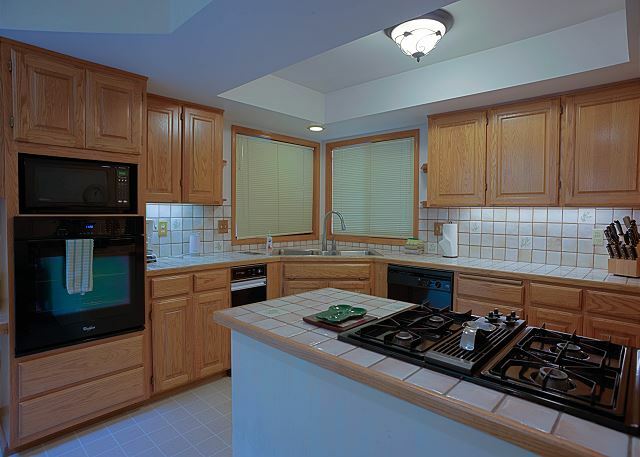 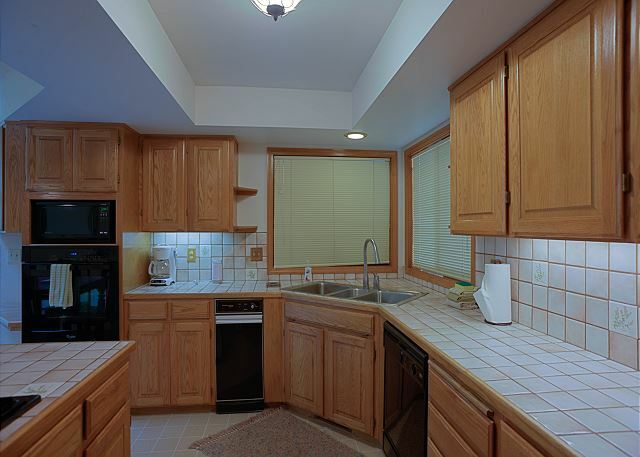 The well stocked kitchen with all appliances including new updated oven and microwave. 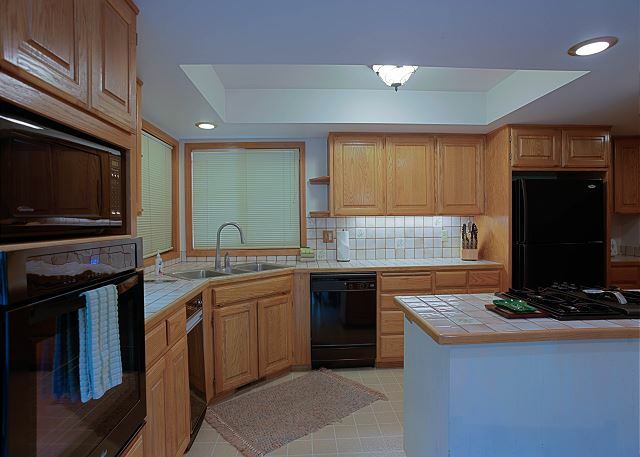 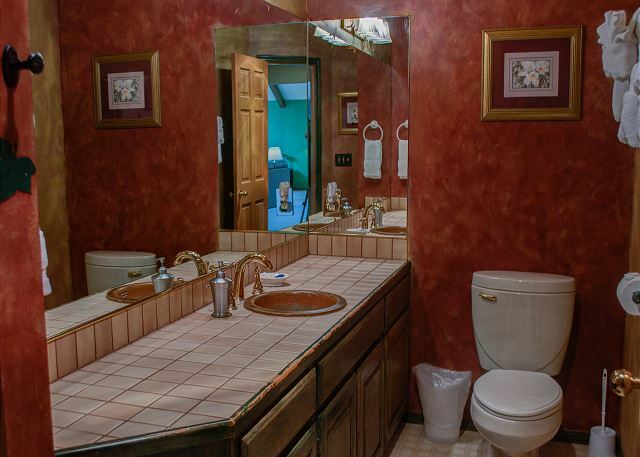 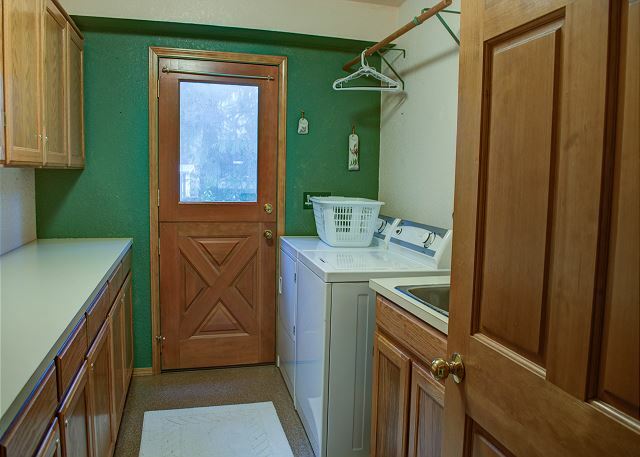 Also has plenty of tiled counter space and a large pantry.The upstairs loft has a seating area, bunk bed with Queen bottom / twin top, three twins, 24 inch TV . 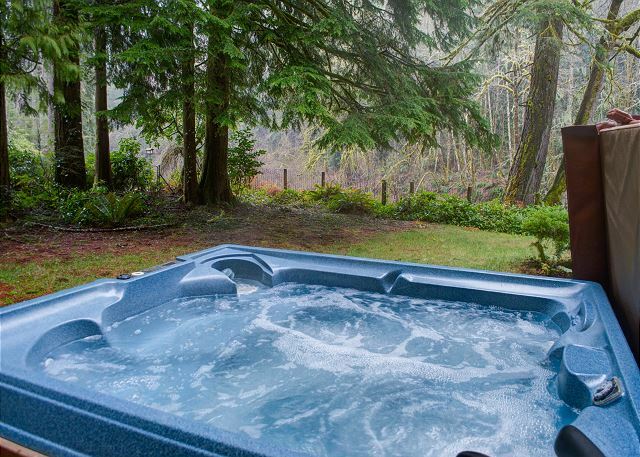 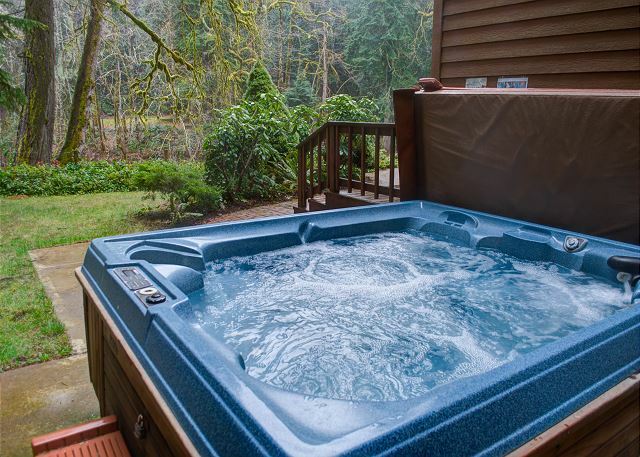 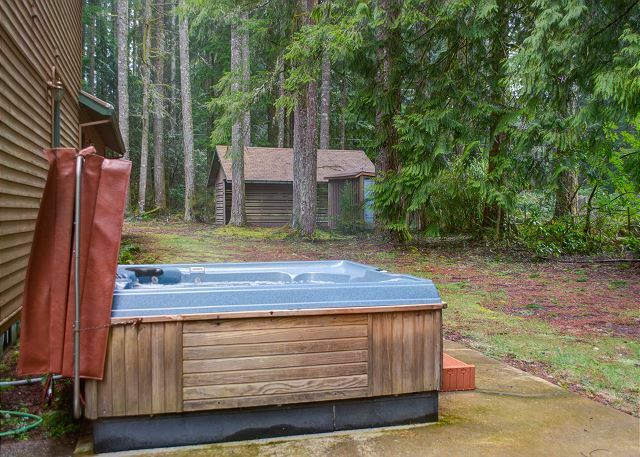 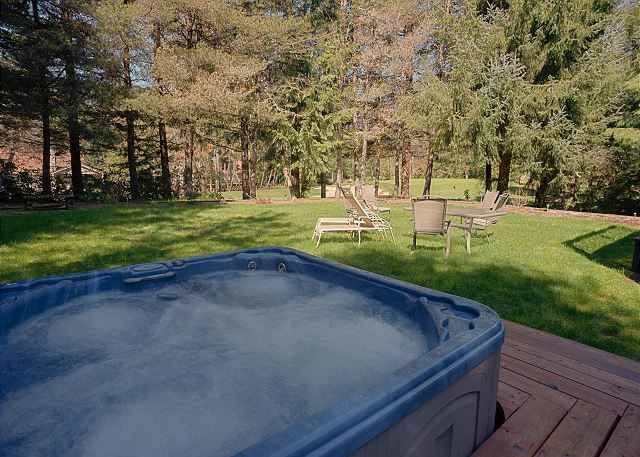 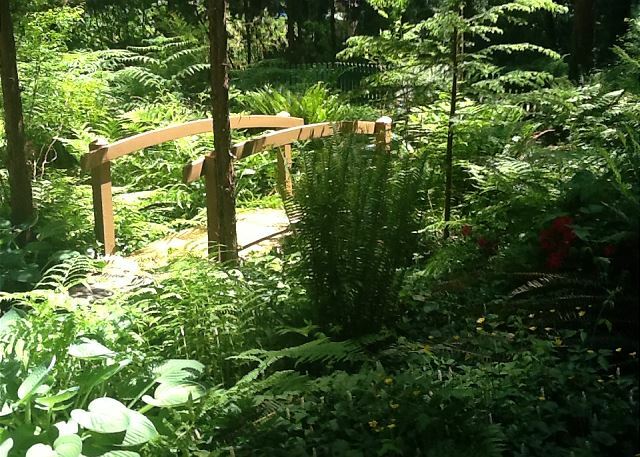 Relax and listen to the Salmon River while soaking in the Hot Tub off the back deck.Dog's allowed with restrictions. 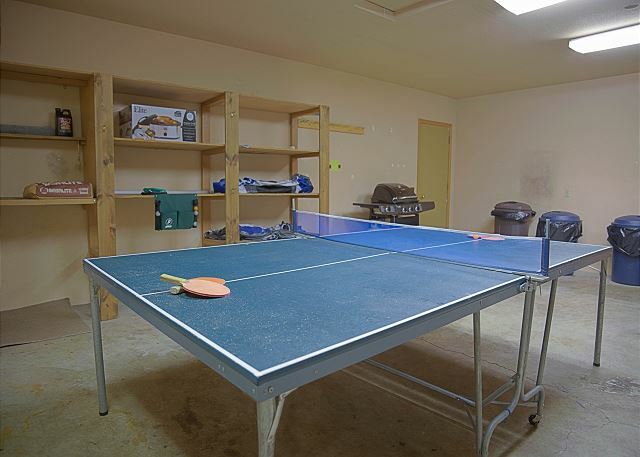 Ping Pong table in garage.